This Guest Post is written by the inimitable MizFit, and she's even included a video--unless Crabby has screwed up the coding, in which case she's included a nice blank space. 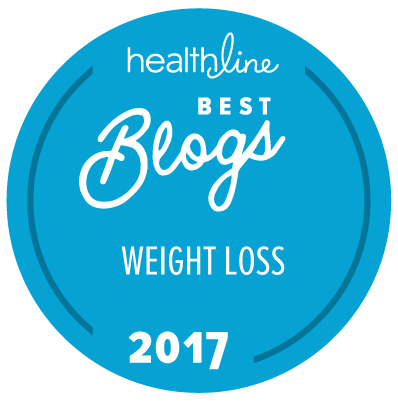 There's a lot more cool stuff at MizFit's blog, so make sure you stop by if you're not already addicted. Enjoy! Chia seeds are the new rage (if by rage you mean healthy stuff we're told to eat in the name of longevity----which MizFit does) and, indeed, they are precisely the same seed used to grow the frizzy "hair" on the Chia Pet plants. The chia seeds are derived from a mint-related plant known as Salvia hispanica. The seeds are high in protein (to know MizFit is to know she is all about the protein), fiber & calcium. Chia seeds are also higher in omega-3 than any other plant source, including the *amazing* flaxseed, which MizFit hath previously commanded you sprinkle on every, single item you consume. Another benefit to Chia (*sigh* I am forced to admit over my beloved flax seeds) is that it expands in your stomach and, as a result, helps you to feel full longer. Chia seeds are also GREAT for diabetics as they slow down the conversion of carbohydrates into glucose due to their high fiber and protein content. Bottom line? Check them out. Chia is great for your health, will help reduce your cravings with their high fiber content and are easy to use. How easy? (thanks for asking!) Here's a muffin recipe and please to check out the video below. Excellent post! I am all about the Omega-3 fatty acids. I think the other main vegetable-based source was purslane, which is considered a weed. So we're just heading out the door--but I have to say, that was a convincing pitch! Will have to look for the stuff although I have no plans to turn it into a beverage. I've always had good intentions re: flax but never much followed through because of the grinding. If these things don't taste nasty, I'm game! Adios and see y'all in a couple weeks! I love my ground flax. I'm always hiding the stuff in muffins and sprinkling it all over stuff the kids have. Is it widely available or do I need to go to a special store to get some? Something new to look in to. Thanks. When I first saw this post, I thought, "What is she smoking?" Nice post, by the way!! My new diet battle cry shall be ch-ch-ch-chia! swung by to see if I had any comments. Im thinking one could find it at trader joes (we dont have em) and at whole foods ---those kinds of places. I know, Katieo, it's sad but true. now since I HEART the flax I may just do both until Mehmet calls me (he calls *all the time*) and says CEASE & DESIST. Chia seeds... I never would've guessed! thanks for letting me yammer up in herre. Interesting post, Mizfit - the Bag Lady will be on the lookout for Chia seeds on her next trip to town. Yeah Miz Fit! I'd read about chia, but you're the first person I've gotten a review from. Very cool! Great post! Thanks! I will be on the lookout for them...of course I will drive my family crazy with singing the song, but that's ok too! buy me a chia pet. Wha? MizFit is saying something might be *gasp* better than flax? Chia sounds like a super seed (or is a grain? must be a seed since it sprouts chia pets). Might have to give it a try but fear the taste truth be told. Sounds interesting, I will have to have a look for it. Not sprouting hair, but maybe sprouting sprouts! Eek! I'll be on the outlook for chia seeds, thanks. Wow, very cool!! As a vegetarian, I'm always looking for plant ways to get my omega-3s. Do you know how it compares to purslane?? I'd heard that was the best plant source of omega 3's. I can't find that anywhere. I'll def. try the chia seeds though - if I can find them! Lurve me some chia seeds. I get them at the local health store, in bulk. If you mix them with water - in about a 1:4 ratio of seeds to water, they form a gel. This makes an excellent addition to smoothies. Gives the smoothies that smooth, thick texture that usually requires something like ice cream (not admitting, just saying). You can't taste them AT ALL in the smoothie. Other than that, I also eat them straight out of the bag. Check your teeth before you leave the house. Again, just saying. I've got lots more info on chia seeds on my website. P.S. You need to stir the seeds into water and let it sit for awhile before you try drinking it. Your video shows a layer of seeds floating on the surface. So stir it up good and then sip. P.P.S. Did you mention that chia seeds are mild in flavor? What? Chia seeds? Man, I feel totally out of the loop. They sounds great, though! anything else I could do to use them as a drink? Wow, sorry for the deleted post, it was in serious need of an edit! I checked at whole foods and had no luck finding Chia Seeds. I can't speak for all of the whole foods, but since I'm in Berkeley and were pretty much seed eating people I would imagine if they carried them they would have them here. I have yet to check trader joes. Miz - is the shipping expensive from hidalgo? I guess what I'm trying to say is it worth me hunting around for them or is the shipping reasonable? PlasticCal, if you were across the bay, I'd recommend you check out Earthbeam. (Then again, I tend to recommend them for most everything. Great store, very friendly people. Did I mention I shopped there for 3 decades?) But I suppose Burlingame is a bit far from Berkeley. Certainly in terms of politics (except for Earthbeam). MizFit is old and brainweary. Ill look and get back to you. regardless it was the proverbial cr**load o'seeds so it'll last me a while! Great video on the chia. You can also get chia seeds from www.OpalNutrition.com...it is the Red Opal brand. For the beverage, an easy way to do it is to take a couple of sips out of an ordinary bottle of water (.5L) and add approximately 2 tablespoons of the chia seeds and shake it up good. Wait 10-15 minutes, shaking periodically, and then it is ready to drink. Doing it this way will have the seeds thoroughly mixed throughout the water. ENJOY! I tried trader joes and no Chia there either, I caved and ordered 12 pounds of Chia from hildago... free shipping whoo! Start with smoothies!! Add an ounce of chia gel to any smoothie and you won't even know it's there. You can also add the gel to soups and stews, or use it to stretch yer mayo, or cook it up with yer oatmeal! Yum!! Personally, I love chia fresca (see my website). Buy it at the Vitamin Shoppe. Thanks for your post. Love the Chia seeds, but they are so expensive. Can you share an inexpensive source? thanks. Oh chia is great i love chia. Black chia and white chia. I bought my chia seeds from hidalgofoods. I think they sell the most cheaper chia seeds. Not only that. Now they have spirulina powder and quinoa powder. Well, i must say that i am one of their fan. hahahaha. yes because i like eating functional foods. 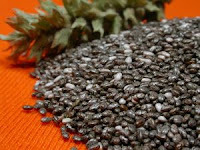 You also can find chia seeds by the name salba seeds. It's a special strain of chia. I got sent a couple of bags of salba seeds to review. They're less toasty tasting than flax and much smaller and lighter colored.